Most of the artciles on Buyers Utopia are sepcific to real estate and real estate investment but the recent tax cuts effects do effect the bottom of line of all real estate investors so we would like to discuss some of the spefics. As you probably know Congress has passed and President Obama signed on December 16, 2010 the Tax Relief, Unemployment Insurance Reauthorization and Job Creation Act of 2010. The legislation extends the Bush income tax cuts for 2011 and 2012 for all taxpayers. That means the 35% maximum federal income tax rate for ordinary income and the 15% maximum rate for long-term capital gains remain in effect for 2011 and 2012. Bonus depreciation is extended and expanded! (Remember bonus depreciation only applies to new property.) The first-year bonus depreciation allowance is 100% of the cost of qualified property placed in service after September 8, 2010 and before January 1, 2012 (January 1, 2013 for longer-lived and transportation property like aircraft.) The allowance will be 50% for property placed in service after December 31, 2011 and before January 1, 2013 (after December 31, 2012 and before January 1, 2014 for longer-lived and transportation property). This provision is better than the expense election because there is no phase-out for large amounts of depreciable property acquired. For taxable years beginning in 2012, the maximum amount a taxpayer may expense is $125,000 of the cost of qualifying property placed in service for the taxable year. The $125,000 amount is reduced by the cost amount for qualifying property placed in service during the taxable year over $500,000. A tax cut that will broadly apply is the reduction of the employee’s social security tax rate from 6.2% to 4.2% for 2011. A similar tax cut applies to the self-employment tax for self-employed taxpayers. Since the maximum social security wages for 2011 is $106,800, the maximum tax savings will be $2,136. 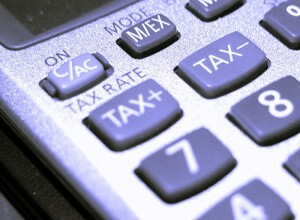 All taxpayers who receive wages will see this tax benefit on their first paycheck received for 2011. The exclusion for up to $100,000 of amounts distributed from an IRA owned by a taxpayer who is over age 70 ½ that are directly paid to a charity is extended for 2010 and 2011. The amount distributed is considered distributed to the taxpayer for the purposes of determining whether the requirement for making a minimum required distribution has been met. Executors for decedents who died during 2010 will have a choice of estate tax repeal for 2010 with carryover basis or having the estate tax in effect with a $5 million exemption equivalent, a 35% federal estate tax rate and “fresh start” (stepped up) basis. The due date for estate tax returns for a decedent who died during 2010, the due date for paying estate tax and the date for making a qualified disclaimer are extended to September 16, 2011. The federal estate tax and the federal gift tax are “re-unified” for 2011 and 2012, with a $5,000,000 exemption equivalent and a 35% tax rate, with “fresh start” basis. An unused exemption with respect to a deceased spouse who died during 2011 and 2012 will be “portable” and added to the exemption for the surviving spouse. (The unused exemption available will be from the last living spouse.) These estate tax provisions are a band-aid that will continue to be hard to work with for long-term estate planning.